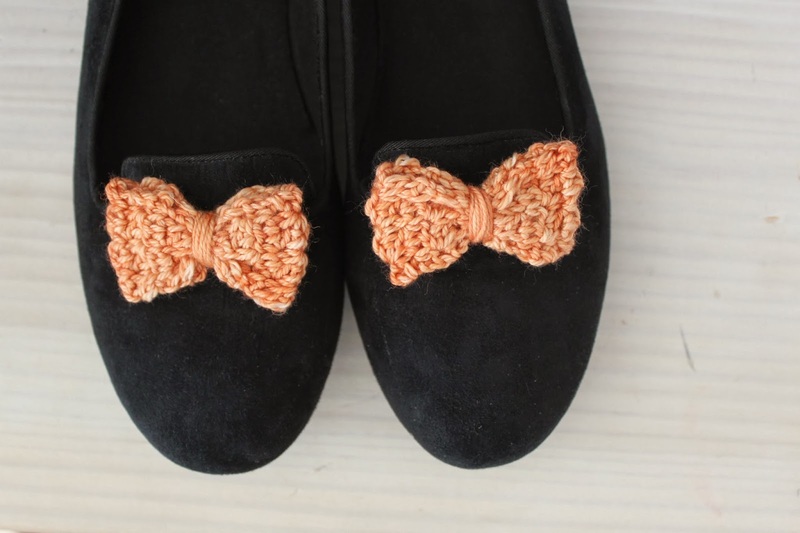 I crocheted two little bows to make my loafers a little more girly! I didn't want to permanently attach the bows to my shoes (in case I realize how ridiculous this idea is later on), so I attached each bow to a black hair tie. 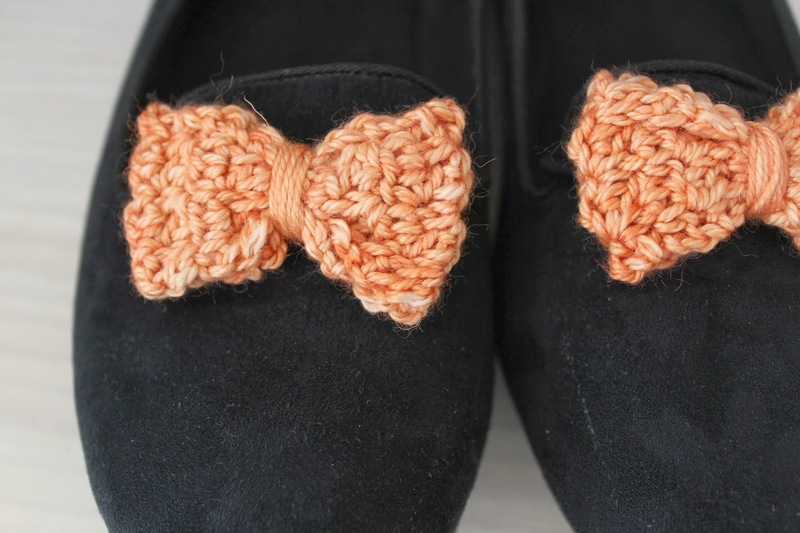 It's kind of perfect because the bow then slips right over the little "tongue" of the loafer and since they are black, you can't even tell. Ch 9 (this includes ch created by slip knot). Sc into 3rd ch from hook. Dc in next ch. Sc in next ch. Continue to alternate between dc and sc to end of row (last stitch should be a dc). Ch 2, turn. Repeat same pattern for about 16-18 rows (depending how big you want your bows). Fasten off leaving a long tail. 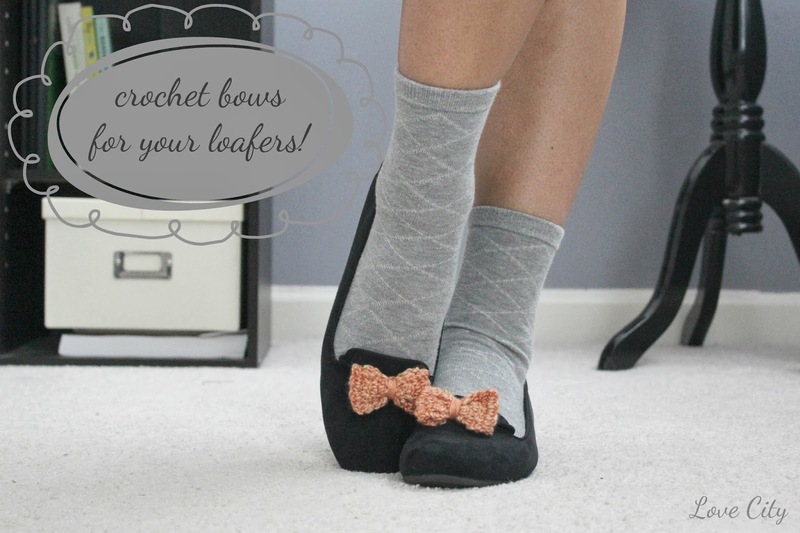 Using long tail, sew two short ends of bow together. Bring this seam to the middle of the bow and cinch together. Wrap tail around cinch and hair tie several times. Fasten off. 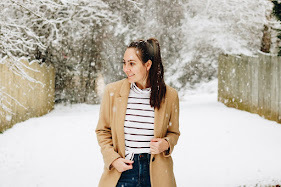 So a bit off topic, but I always have that reaction when I try on skinny jeans... that they just look so weird on me and I can't seem to find a pair that doesn't/style them right. But, I bet your shoes would look really cute with a pair of skinny jeans!